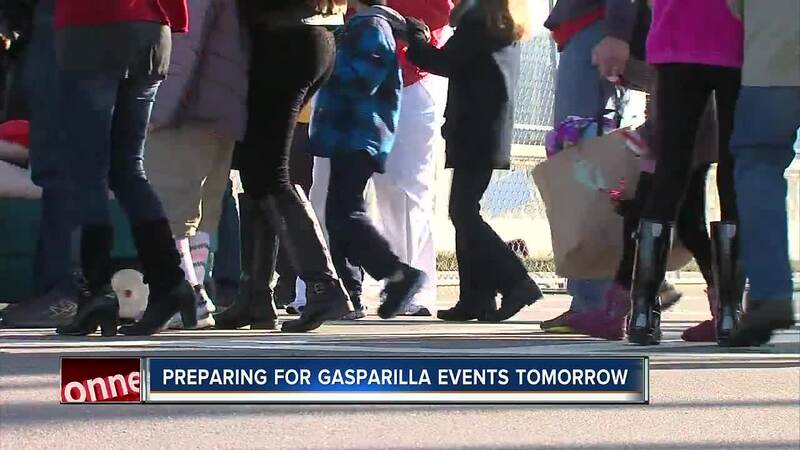 TAMPA, Fla. — The Ashley Homestore Children's Gasparilla Extravaganza kicks off the Gasparilla season on Saturday. 11:00 a.m. - Activities open along Bayshore Boulevard at 11 a.m. Shuttle service from the Fort Brook Garage, located on the corner of Franklin and Whiting Street, will operate one continuous shuttle route on January 19, 2019 from 10 a.m. – 8 p.m. Cost is $10 per adult, children accompanied by an adult ride for free. The shuttle will deliver to Bayshore Boulevard, near the beginning of the parade route at Bay to Bay Boulevard and the Crosstown. The shuttle will pick up at the Fort Brooke Garage, at the corner of Franklin and Whiting Street. The Whiting Street Garage will serve as overflow parking for the Fort Brooke Garage. The shuttle will travel to Bayshore Boulevard and drop off passengers near the beginning of the parade route at Bay to Bay Boulevard and the Crosstown. Shuttle info here . 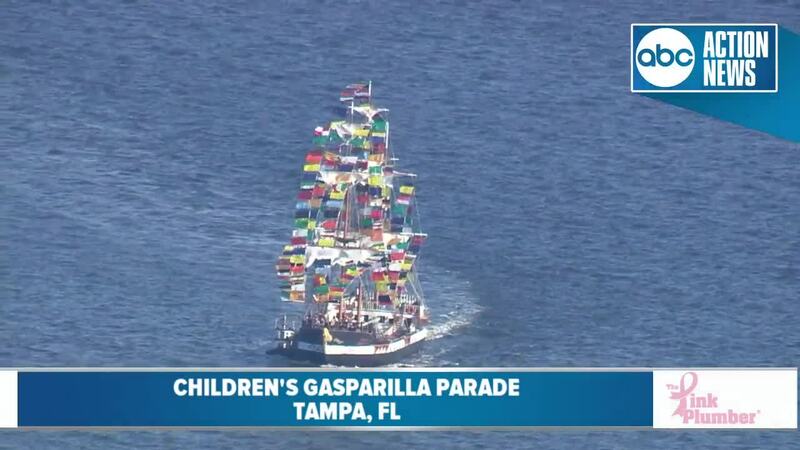 Since 1904, pirates have been invading Tampa for the annual Gasparilla Pirate Fest! Pirate accents and eye patches will be aplenty and parking and traffic will be busy. Here's everything you need to know about the annual throw-down. The 2019 Seminole Hard Rock Hotel & Casino Tampa Gasparilla Pirate Fest kicks off on Saturday, January 26. The Gasparilla Invasion will start at 11 a.m. when the world’s only fully-rigged pirate ship, the Jose Gasparilla, sets sail at the south end of Hillsborough Bay and travels north to Seddon Channel to dock at the Tampa Convention Center. A Gasparilla Brunch will be held at the Tampa Convention Center from 10 a.m. to 1 p.m. Tickets are required for this event. Get more info here . The Parade of the Pirates begins at 2 p.m. The parade will begin at Bay to Bay Boulevard and Bayshore Boulevard. It will continue along Bayshore Boulevard to Brorein Street turning east on Brorein Street and then north on Ashley Drive. The parade will end at Cass Street and Ashley Drive. The parade is FREE to attend. You can purchase reserved seating here . Avast ye! The City of Tampa wants you to be prepared for heavier than normal traffic on Saturday, January 26, 2019 in downtown and south Tampa as we batten down the hatches and prepare for great fun and high adventure during the 102nd Annual Gasparilla Pirate Fest! The pirates arrive by sea as the fully rigged Jose Gasparilla sails into Seddon Channel and docks at the Tampa Convention Center at 1 p.m. Then, the marauding buccaneers gather at the intersection of Bay to Bay Boulevard and Bayshore Boulevard for the Gasparilla Parade of Pirates, which steps off at 2 p.m. The parade continues along Bayshore Boulevard to Brorein Street, turns east on Brorein Street, then north on Ashley Drive. 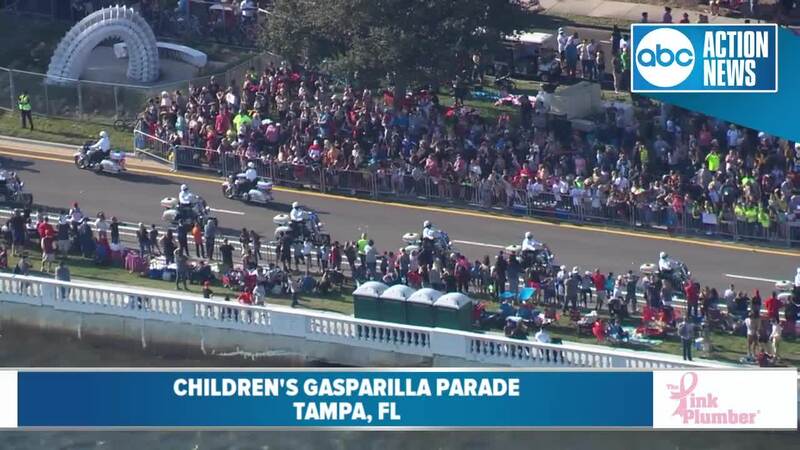 The parade ends in downtown Tampa at Cass Street and Ashley Drive. One of the most popular attractions in Tampa is the annual Gasparilla Pirate Fest, which has been a tradition in Tampa since 1905. 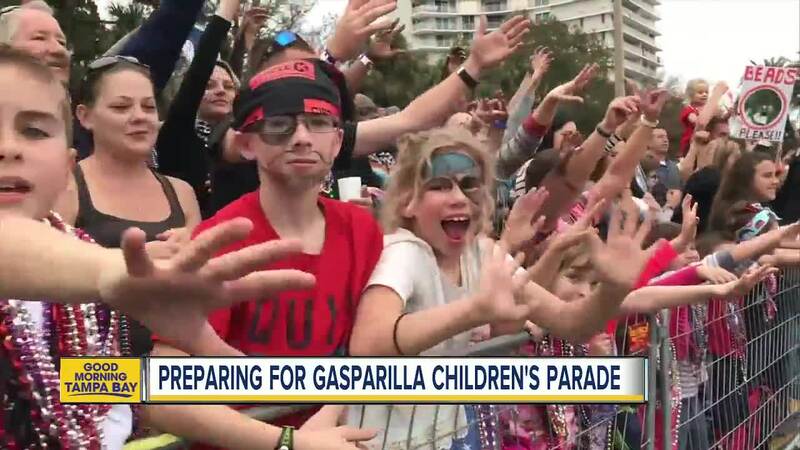 Over 300,000 spectators are expected to line the streets to watch the Children's Gasparilla Extravaganza on January 19, 2019 and the Gasparilla Pirate Fest on January 26, 2019. In order to accommodate the parades, many streets will be closed. The City is alerting the public of road closures and towing zones to minimize congestion in neighborhoods that border the parade route. No Parking signs have been installed in the neighborhoods west of Bayshore Boulevard and will be in effect beginning on Friday, January 18 through Saturday, January 19. Please note: Only motorists with an ID verifying residency will be allowed to enter the Bayshore Gardens and Hyde Park Preservation neighborhood after the streets have been closed. Ft Brooke Garage - $10 flat rate and will open at 7 a.m.
Jackson Street Parking Lot - hourly rate of $1.60/hr, with a $9.50 daily maximum and will open at 7 a.m.
Poe Garage –At 9:30 a.m. at a rate of $4 per vehicle entry. Due to the parade route, this garage will be closed from 1:00 p.m. until 6:00 p.m. Customers will not be able to enter or exit this garage until after 6:00 p.m.
Royal Regional Lot – $10 flat rate and will open at 7 a.m.
Tampa Convention Center Garage - $10 flat rate and will open at 7 a.m.
Twiggs Street Garage - hourly rates of $1.20/hr, with a $7 daily maximum and will open at 7 a.m.
All numbered spaces on Kennedy Boulevard and south of Kennedy Boulevard are enforced up until midnight at the standard hourly rate. South Regional Garage - $12 flat rate and will be open from 7 a.m. – 10:30 a.m. for parade & circus parking. After 10:30 a.m. parking will be restricted to Arena Reserved Parking Passes for the remainder of the day. Centro Ybor and Palm Avenue Garages - will open at 7 a.m at the standard hourly rate. HART park and ride available from both locations. Drivers attending the 1 p.m. and 8 p.m. shows of Cabaret at the Straz Center are encouraged to take one of the following routes. Law enforcement will be cracking down on drinking, whether you're on land or sea. So go easy on the bottle of rum!